The Movie Sleuth will be adding Comic Convention coverage to our already overflowing plate courtesy of Mikel O.D. of the Most People Are DJs website. Next weekend is C2E2, the Chicago Comic & Entertainment Expo, a convention that brings the best of pop culture to downtown Chicago. C2E2 is a convention packed with so many cool things and people that for the past 2 years I have traveled from Detroit to experience the show. So, of course this year I’ll be attending again and partaking in all the comic and pop culture goodness. High on my list of things to do at C2E2 are attending the celebrity guest panels. Some of the panels I plan to attend are the "Comics and Hollywood" panel with Nicholas Brendon, Xander from Buffy the Vampire Slayer, talking about comics being turned into film and vice versa. RJ Mitte who played the son of Walter White on Breaking Bad has a panel discussing his time on the show. And, for nostalgia, there’s a 20th Anniversary Panel on The Crow. I watched The Crow (the original only!) again just last year and it hasn’t lost any of its dark and gritty charm. Ernie Hudson, Michael Massee and Tony Todd will be on hand to answer questions about the movie. Thrilling Adventure Hour which has evolved from a live show at the pub to a podcast and a traveling live event will have a large presence at C2E2 with many of their voice actors attending and putting on a show as well. If you haven’t caught an episode of Thrilling Adventure Hour, it’s a staged show in the style of old time radio with genre-based comedy segments. Some of the actors on past episodes include Scott Adist from 30Rock, Janet Varney from Legend of Korra, and Autumn Reeser from the OC. Since I am a photographer, I’ll also be taking photos of cosplayers. 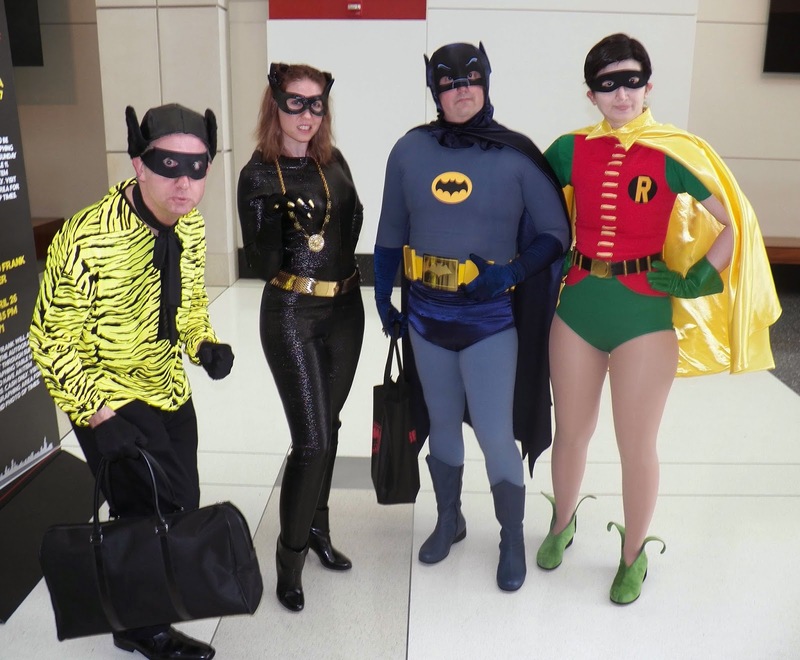 While cosplaying has been getting bigger each year with more and more convention attendees dressing as their favorite superheroes, I think we may be at its apex. With the Heroes of Cosplay TV show, Cosplay has amassed a huge and dedicated fanbase. I know there are comic purists and other “serious” convention attendees that are annoyed with the cosplay explosion but I happen to think they add more fun to the convention experience and I like to see the ingenuity put into the costumes. I won’t step into my own cape and tights anytime soon but I’m always supportive of anyone else doing it. When cosplayers start charging for having their picture taken or autographs, then my opinion may change. There’s so many cool things happening at C2E2, there’s no way I can experience everything I’m interested in seeing but I can prioritize and make sure I get to what’s really important by making use of the C2E2 app. The app has all the particulars of the show and allows you to create a schedule of what panels to see and what booths to check out. 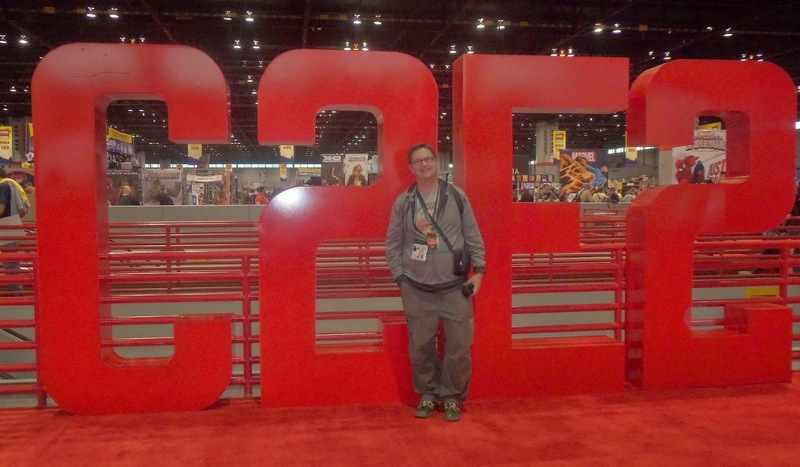 C2E2 runs Friday April 25 through Sunday April 27. Tickets are available for a few more days through their website or at the door at the convention. Check back here soon where I’ll have may tales and pics from my experience at the show.